TWO HARBORS — Boaters, visitors and scallywags are invited to set sail for Two Harbors Oct. 4-7 for the 23rd annual Buccaneer Days event. 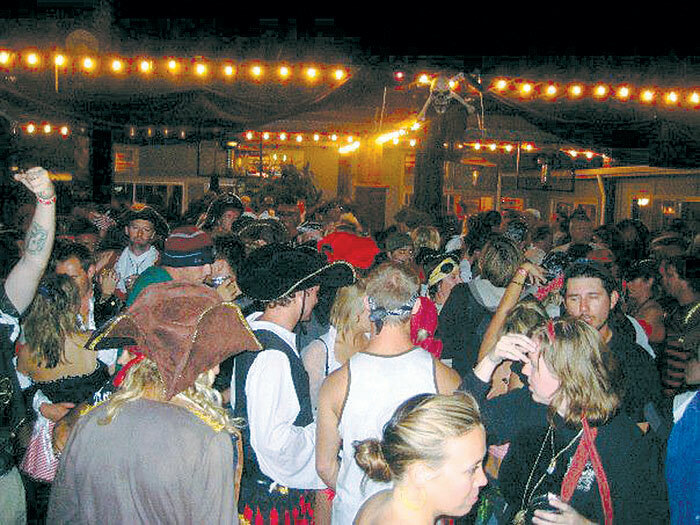 The celebration of all things “pirate” includes treasure hunts, costume contests, live music, food and beverages. While usually a two-day-long affair, this year’s event has been extended to include an extra night of festivities, with the party starting Thursday at 7 p.m., featuring a live band at Two Harbors Reef Restaurant’s outdoor patio. The scene regularly includes pirate garb worn throughout the day, ranging from elaborate, Johnny Depp-level costumes to eye patch-wearing, plastic sword-wielding fun seekers. Boaters making the trek for the event can reserve a mooring online at visittwoharbors.com. Live Band (front patio): 7-11 p.m.
Live Band (Humble Hooligans): noon-4 p.m.
Live Band (Xceptional Music): 7-11 p.m.
Live Band (front patio): 9:30 a.m.-1:30 p.m.